My Blogger Buzz: How to Completely Backup Your Blogger Blog? 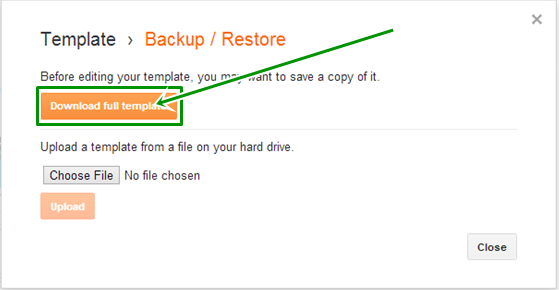 How to Completely Backup Your Blogger Blog? Blogger is the first choice of a blogger to start the blogging career because it is 100% free of hosting and SEO friendly too. It is on Google's server hence it is too fast. Google automatically revert those posts to drafts which are other's copyrighted or by someone DMCA application warns us. Many DMCA complains can harm our blog rankings and Google can deleted it from its server. If such things happens our lot of hard work like Template and all blog posts were destroyed and we even can't do after that. 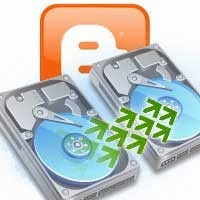 So I recommend you to backup your blogger blog once in a week. Blogger's Spam Classification System is also helpful for us because it also deleted the posts which are copied from our blog by copycats. So this has both advantages and disadvantages. But we have to be risk-free so we have to backup our blog. So here I am going to tell you how can you download backup of your blogger blog. Click On The Backup/Restore Button At The Top Right Corner. Now a Popup Will Appear Where You Can Download and Restore Your Template. Simply, Click "Download Full Template" Button. So, Now After Downloading Template, Let's go to the Next Step. There You Will See "Blog Tools" Area On The Top. 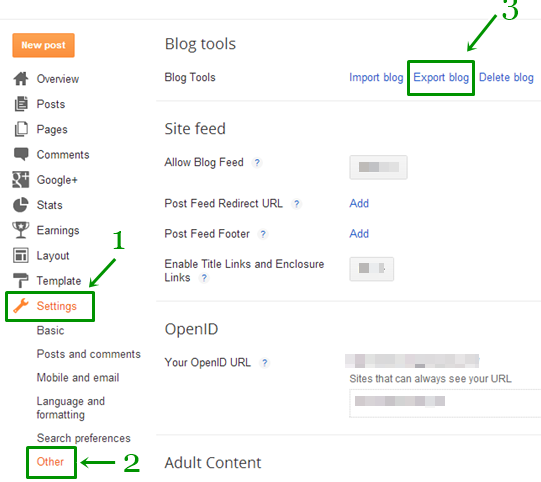 There Will Be "Export Blog" Button, So Click It To Export or Download Your Blog. When You Will Click The "Export Blog" Button, A Popup Will Appear Same Like As Clicking On Download/Restore Button. But Here You Can Only Download Your Blog, So Click On "Download Blog" Button. Now Wait a Bit, It Will Take Some Minutes To Download Your Complete Blog. That's all and You're Done! It is just an easy task to do all of the steps. It is recommended to repeat these steps at least once a week to stay risk-free. Now It's your turn to share this post to your friends so that they also can save their precious blog posts and template. Don't forget to write your views through comments till then Peace, Blessings and Happy Downloading.